The use of video resumes to apply for jobs has skyrocketed in popularity globally hence V-Report thought it about time that we bring it you right here in South Africa. They are great for helping employers or agencies quickly ascertain a job applicant's communication skills as well as having a visual presentation of you before they meet you -- potentially giving you an advantage over other candidates lacking this kind of job tool. Video Resumes are normally 30 seconds to one minute long and are excellent complements to traditional resumes/CV, allowing job applicants to highlight certain skills, such as leadership, presentation, and creative abilities. Video resumes are now successfully being used in all Industry forms by Jobseekers professional experience is that video resumes can help emphasize one's potential rather than spotlight a brief work history. It is advisable to keep your video resume as short and sharp and as effective as possible. Keep in mind that the person viewing your video resume wants the facts only and will become bored and frustrated if you waffle and most definitely you will be forgotten. Is this what you want? I am sure not. With the availability of affordable, good-quality web cameras and microphones, making a video resume has never been easier. Many people are already using social networking web sites, such as YouTube, to post short video resumes alongside their member profiles. as with a traditional resume, a video resume should concisely explain your skills and accomplishments as they relate to a prospective employer. It should also include your answers to commonly-asked interview questions, as well as ensuring that you sell yourself. Video Resumes should not be looked at as a replacement to an interview however it does allow the potential employer or recruiter to get a good idea on what you are all about. Completing a video resume has never been easier. Web Cameras have become inexpensive accessories to have and can be used for many a purpose, also laptops today come with integrated camera and microphones therefore making it even easier to complete a video resume. You will be able to record your resume with the software that comes with your laptop or the webcam you have. Please ensure that your video resume is not longer than one (1) minute or you may run the risk that it will not be approved nor published to your profile. All video resumes will be pre-screened to ensure content and language compliance before being published to your profile. Without a doubt, the advancement in technology and faster Internet connection has enabled people to share their videos with others more quickly and easily. Be it the video you took during your travel or a video of your baby’s birthday, with few simple clicks, you can get it online and attract thousands of viewers instantly. One thing though, before you upload that video of yours, it is important to get it compressed to the smallest possible size so that your movie can be more easily watched by people over the Web. 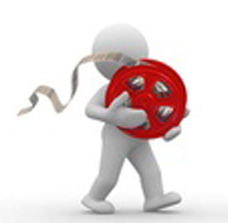 Luckily, you do not need to be a technical guru to be able to compress your video files. If you are using Windows XP and above (excluding Windows 7), you already have a great tool in your Start menu that allows you to compress video files for web easily – Windows Movie Maker. 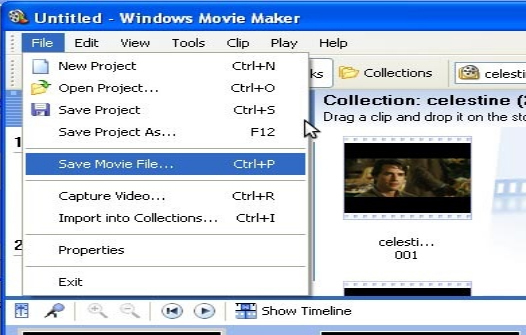 For some reasons, if your computer does not come with the Window Movie Maker, you can download it from the Microsoft website for FREE. Here we will explain how you can compress a video file for web to half its size with Windows Movie Maker. Click on the Import Video link on the left pane. 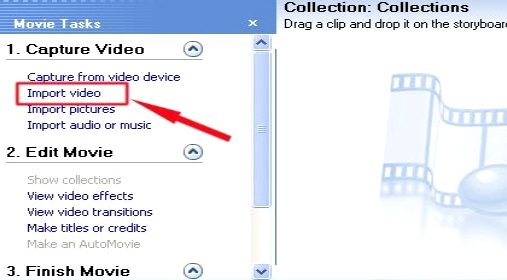 Select the video file that you want to compress and import it into Windows Movie Maker. Drag the movie to the timeline. This is the window on the bottom left hand side of the page as seen as Celestine 001. 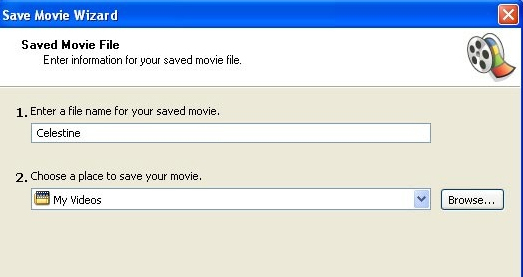 Proceed on by going to File->Save Movie File. Select a location in your computer. The easiest is My Computer and click Next. Enter a File Name for your video resume (Your Name) --- Joe Soap Save the file to a chosen location, the desktop is normally the easiest to find. When it comes to the Movie Setting page, check the box “Other settings” and select “Video for broadband (340 Kbps)” in the dropdown option and click Next. Click Next to start compressing the video file. It will take some time while the Movie Maker compresses and saves the video file. You will find that the file has been compressed significantly hence making it easier to view on the web. As mentioned previously please ensure that your video resume is no longer than between 30 seconds and one (1) minute. Taking into account that not everyone is a technical guru, Windows Movie Maker has done a great job in simplifying the process of compressing video file for web and make it easy for almost everyone to use. As can be seen from the explanation above, it is VERY easy to compress a video for the web and the result is impressive. Best of all, it comes preinstalled in your computer, so there is no need to search, download and install. Audio Resumes are essential as all potential employers and recruiters will be able to play and hear the resume you create. Ensure that you have a clear script in front of you when recording your resume do not try to “Wing It” this will become very clearly evident in the tone and pitch of your voice. Ensure that when you record your resume you do it in 100% total silence. You do not want to distract the person listening to you speak. Well how do I record an audio resume you may ask? Actually quite simple, follow the following steps and you will have it uploaded and ready to go in no time. Ensure your microphone is connected to your pc or laptop and is working. Click on Start (Bottom left hand side of your screen). Record your audio resume for a maximum of two (2) minutes. Name your file (Your name) e.g. : Joe Soap. Save the complete file to your desktop and ensure it is saved as a windows media audio file To upload your completed Audio Resume. When you are logged on click on upload video & audio resume in the top right hand side red panel of your profile page. Click on browse and find your file on your desktop and upload. Your file has now been uploaded to your profile on V-Report. 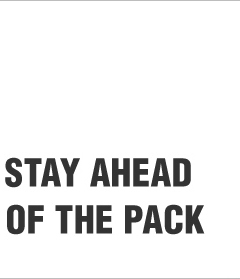 Please ensure that your audio resume is not longer than Two (2) minutes or your may run the risk that it will not be approved nor published to your profile. 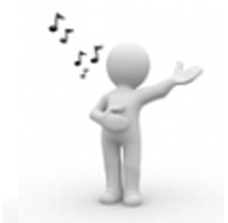 All audio resumes will be pre-screened to ensure content and language compliance before being published to your profile.